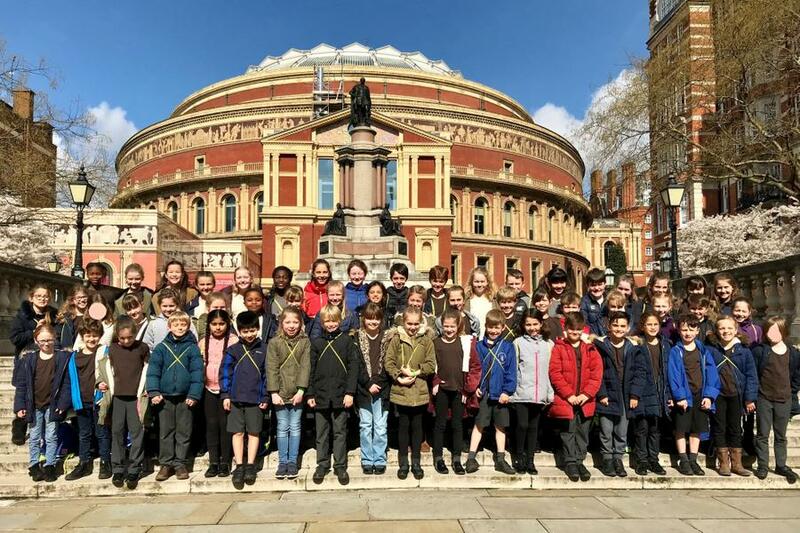 Congratulations to our Junior Choir and Festival Choir who have sung at the Royal Albert Hall and The Rose Theatre, Kingston during the past week. The Junior Choir have been practising for months for the Prom Praise 4 Schools festival held at the Royal Albert Hall last week. Back in October they also successfully auditioned to be one of the soloist choirs singling alongside the All Souls Orchestra. After intensive preparation and two fascinating but exhausting rehearsals at Sir John Cass Primary School in the City of London and All Souls’ Church near Oxford Circus, the big day finally arrived last Tuesday 19th March. At 6pm, after another long day, the Junior Choir took part in this fantastic event at the Royal Albert Hall, telling the story of Exodus through song, acting and dance with a massed choir of thousands of schoolchildren alongside our choir, Sir John Cass Choir, Twyford Secondary School Gospel Choir, Springs Dance Company and musical theatre actors from West End Has Faith. Our children acted the part of Hebrew slaves in Egypt throughout the evening alongside the Sir John Cass children, streaming in dramatically through the Stalls entrances as oppressed workers, acting out the Plagues as if we were Egyptian hieroglyphics, and following Moses joyfully through the centre of the auditorium as he finally parted the waters of the Red Sea to liberate the slaves. The absolute highlight for all of us was when the Archdeacon choir stepped out from the wings onto the stage to sing “The Lord is my Shepherd” as a solo, accompanied by the All Souls’ Orchestra and conducted by Dr Noël Tredinnick, in front of an audience of thousands. Tickets to the event sold out within 45 minutes of going on sale so you can imagine how packed the auditorium was. We had a full day of rehearsing interspersed with breaks in our own plush dressing room, free pizza and a very special storytime from Miss Lambe! Throughout the day everyone was immensely impressed by the effort, resilience, kindness and excellent behaviour shown by the choir children. 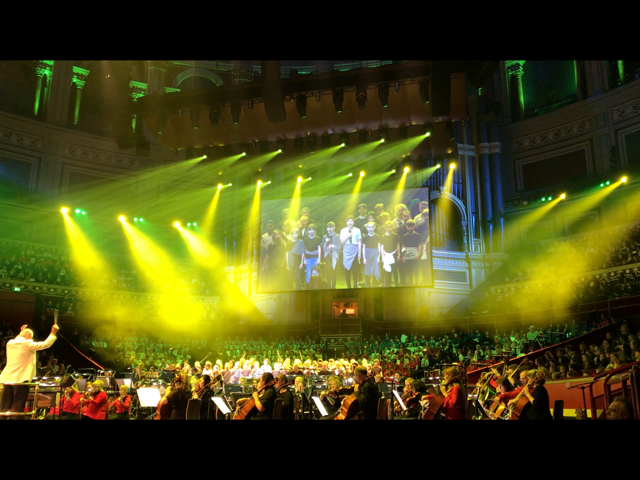 This was a very special event and to be selected from thousands of other children to sing our solo was an enormous achievement – but then to behave and perform in the way they did in that huge, daunting space is something to be even more proud of. We would like to say a huge thank you to all parents who supported their children tirelessly throughout the rehearsal process and at the event. We’ve had some wonderful feedback from many people who attended, and would like to quote a little of it here. On Wednesday 28th March, we then took 51 very excited members of the Festival Choir to the Rose Theatre. After a very early start the children brilliantly performed our own school songs which were a mash up of Count on Me by Bruno Mars and Reach by S Club 7. As well as having their own moment in the spotlight, the children worked hard to learn all five songs in a relatively short space of time and have dedicated lots of their play and lunch times to learn everything. The children did so well and we are extremely proud of them. They are all looking forward to a final performance in Church at the End of Term service. A reminder that school ends at 14:30 on Friday 5th April. We wish you all a restful Easter holiday.